Tension-type headaches – these types of headaches occur frequently and can often last between minutes to days in duration. 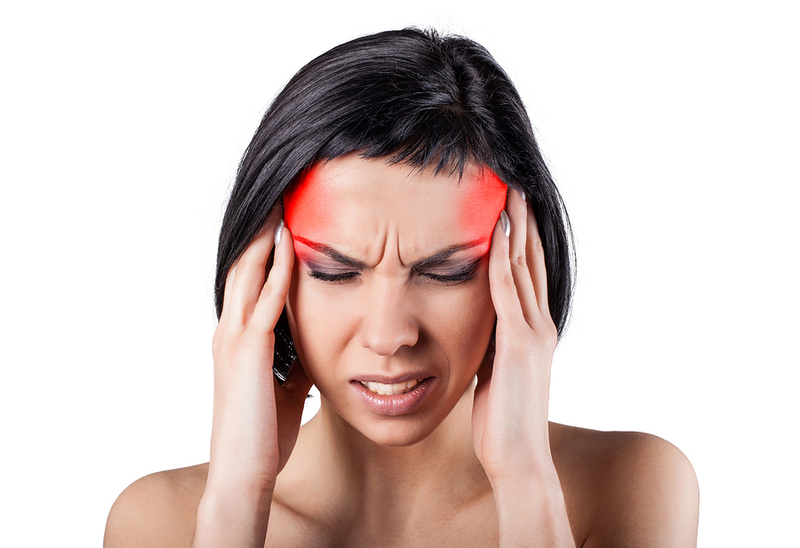 These headaches normally feel like a pressing, tightening sensation in the head, usually like a band around the head. They often come on with mild to moderate intensity, can cause sensitivity to light or sound, but doesn’t usually result in nausea or vomiting. These types of headaches are often elicited by muscle tension in the neck and head region, but not associated with the joints of the neck. Migraines – these types of headaches also occur frequently and can lasts for hours (4-72 hours). The pain is usually felt on one side of the head, and causes a pulsating/throbbing kind of sensation. These are more moderate to severe in intensity, and are often aggravated by routine activities, making it difficult to carry on with a normal day. During the headache, it is possible to experience nausea, vomiting and sensitivities to smells, lights and noises. Cervicogenic headaches – these headaches are considered secondary to a source from the neck and can be felt in a variety of places in the head and/or face. Often enough, patients with this type of headache present with associated neck pain or restricted movement, either from the joints or the muscles in the neck. Organic conditions – sometimes headaches can be a result of more serious, organic conditions, such as tumors and systemic conditions. If none of the above types of headaches describe the symptoms you are going through, it’s best to consult a health practitioner to check up on your condition. If you are suddenly experiencing the worst headache you have ever felt, please seek medical attention from a health professional for further investigation. If you need help understanding the cause and type of headaches you are dealing with, do not hesitate to contact your Mississauga Chiropractors. Headaches can be debilitating and prevent you from carrying a normal life, and that’s why it’s best to seek professional help to take care of these problems. Chiropractic care has proven to be a viable option when it comes to the management and prevention of headaches. Chiropractic care could help prevent unwanted tension and irritation in the neck and head. In some instances, a chiropractic adjustment could provide immediate relief of symptoms, but for others it may take some time, but gradual, noticeable improvements may be seen with consistent care. Usually when you’re dealing with long-standing headaches, it takes some time to deal with this problem. That’s why it’s important to act fast, and not delay your visit to the clinic. Chiropractors will also provide you the necessary tools to manage your headaches outside of the clinic, and educate you on what to avoid and what to look out for in order to get the full benefits of the chiropractic adjustments. For more information on how we can help you, please give us a call at 905-821-4951 to book an appointment with one of our chiropractors.